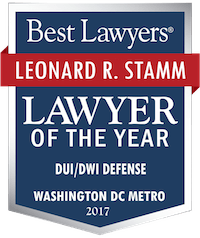 Commercial driver's license (CDL) Category Archives — Maryland DUI Lawyer Blog Published by Maryland DUI Attorneys — Goldstein & Stamm, P.A. DUI Update Sept. 2011 – What have they done to us this year?! 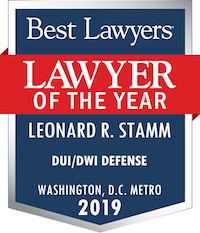 In the past year there have been a number of developments in the area of DUI law in Maryland, and most of them favor the State. The Court of Appeals has issued a number of decisions favoring the MVA. In Hill v. Motor Vehicle Admin., the Court of Appeals rejected an argument that the DR-15 was misleading to drivers holding a commercial drivers license (CDL) because the form was claimed to not advise CDL holders that if they refused a breath test the interlock option would not available in lieu of the disqualification of the CDL. In Najafi v. Motor Vehicle Admin., although the Court of Appeals held that Najafi’s right to counsel was not violated, it said in dicta that a claim of a violation of the right to call a lawyer before deciding whether to submit to a breath or blood alcohol test cannot be litigated at an MVA hearing. In Motor Vehicle Admin. v. Loane, the Court of Appeals construed the plain language of Transportation Article, § 16-205.1(a)(2), that the implied consent law does not apply on purely private property. The Court held that despite this plain language that the implied consent law does apply on purely private property and that the issue cannot be raised in defense at an MVA implied consent hearing. In Thomas v. Motor Vehicle Admin., the Court of Appeals held that the “detention” referred to in § 16-205.1 is not required to be an arrest. In Motor Vehicle Admin. v. Aiken, the court held that the MVA need not produce the test strip or form Notification of Test Result, if the breath operator noted the test results under oath on the DR-15A Form. The court held that the MVA did not need to show in its prima facie case that the test had been administered with equipment approved by the toxicologist, because approval by the toxicologist was not listed as an issue that could be considered at the hearing under § 16-205.1(f)(7) of the Transportation Article. In Headen v. Motor Vehicle Admin., the Court of Appeals held that under § 12-111(b)(2) of the Transportation Article the MVA could designate drunk driving offenses as confidential after five years and deny expungement as to those convictions. The Court also held that a driver who is refused a drivers license due to an out-of-state suspension or revocation is not entitled to an administrative hearing to contest the refusal. In Motor Vehicle Admin. v. Shea, the Court of Appeals reviewed the question of what constitutes reasonable grounds to support the detention at an MVA hearing. The facts included the officer’s statement concerning a moderate odor of an alcohol beverage on the driver’s breath and that the driver submitted to standardized field sobriety tests. An administrative law judge took action against Shea’s license. On appeal, in response to Shea’s argument that the DR-15 Form provided insufficient reasonable grounds, the circuit court ruled for Shea but held that moderate odor of an alcohol beverage combined with a seatbelt violation was an insufficient basis to conduct field sobriety tests. The circuit court ruled for Shea but held that moderate odor of an alcohol beverage combined with a seatbelt violation was an insufficient basis to conduct field sobriety tests. The Court of Appeals reversed, relying on Motor Vehicle Admin. v. Richards, since the Fourth Amendment exclusionary rule does not apply in MVA hearings. The Court also avoided deciding whether a moderate odor of an alcohol beverage alone could constitute reasonable grounds to support a detention to take a test, since the Court found that there was substantial evidence to support the finding of reasonable grounds, namely that the ALJ could have inferred on this record that Shea failed the standardized field sobriety tests. Defending drivers with a CDL (commercial driver’s license) who are charged with drunk driving is tricky. Each step of the process involves a risk that the CDL will either be disqualified pursuant to state and federal law, or suspended pursuant to regulations of the Maryland Motor Vehicle Administration (MVA). Under Code of Maryland Regulations (COMAR) 11.11.12.07 the MVA may not issue a CDL if the driver’s license is suspended. Unfortunately, the MVA interprets a case called Embrey v. MVA to hold that any kind of restricted license is the equivalent of a suspension. Under this interpretation, a driver with a work restriction or an ignition interlock restriction may not have a CDL. The first hurdle through which the CDL driver must pass is the initial MVA hearing for a breath or blood test failure or refusal. If the driver took a test with a result of .08 or higher but less than .15, an effort must be made to persuade the Administrative Law Judge (ALJ) to either take no action or to issue a reprimand, as opposed to a 45 day work permit. If a work permit is issued it will be without the CDL. If the driver failed with a result of .15 or more, or refused a test, an effort must be made for no action. In either event, the ALJ would only have discretion to impose an ignition interlock restriction for one year. Again, this would be without CDL. Additionally, a refusal carries a separate one year disqualification of the CDL.